Sri Lanka’s no. 1 cable manufacturer, ACL Cables sponsored the Best Performer Award for the BSc. Engineering Honours Degree for Electric and Electronic Engineering at the recent SLIIT Convocation. Winning this prestigious award was Dilini Buddhima Rathnayake. She received her award from the Chief Guest, Hon. Prime minister Ranil Wickramasinghe in the presence of Chancellor Prof. Lakshman Rathnayake, Prof. Lalith Gamage, Vice Chancellor SLIIT and Sumudu Thanthirigoda, General Manager Marketing, ACL Cables. In recognition of this achievement ACL Cables presented the student with a cash reward and a trophy. “As the no. 1 cable company in Sri Lanka, ACL Cables is privileged to partner with SLIIT and act as a sponsor at their convocation as well. ACL Cables values the efforts and recognizes the talent of our younger generation, especially the young professionals attached to the industry. 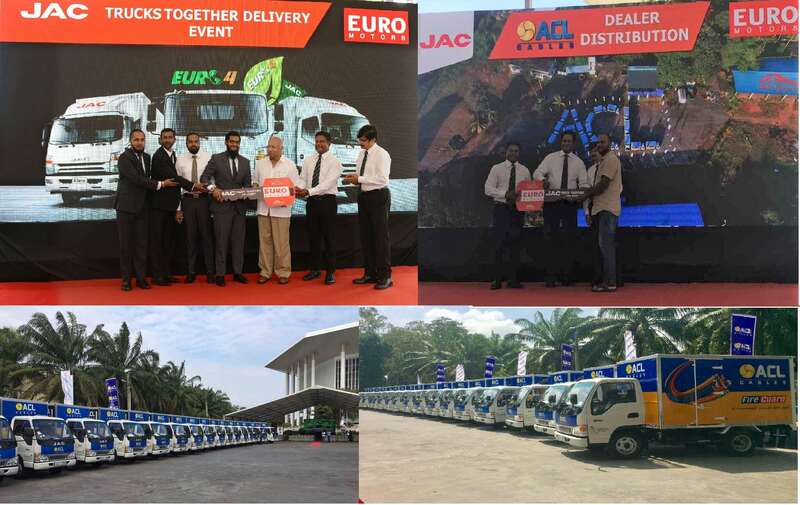 We believe the rewards and recognition for the hard work put in by the undergraduates will also boost their confidence and contribute towards lifting the standards of the industry,” said Sumudu Thanthirigoda, General Manager Marketing, ACL Cables. ACL Cables and SLIIT, entered into a Memorandum of Understanding (MoU) a year ago with the objective of uplifting the educational standards and providing practical industry exposure amongst electric and electronic undergraduates. The MOU was signed by Prof. Lalith Gamage, Vice Chancellor SLIIT and Mr. Suren Madanayake Managing Director ACL Cables PLC. “Through the MOU with SLIIT we are committed to help create a generation with advanced knowledge and better industrial exposure especially through the creation of superior products, thereby benefitting the construction taking place in our country, and also benefit society in at large,” said Suren Madanayake. As the leader, innovator and socially responsible corporate entity ACL Cables has taken the initiative to create a novel experience of education for the engineering undergrads at SLIIT whilst being with them throughout their academic year and finally rewarding and recognising their hard work as well. Through the MoU, ACL Cables facilitated several lecture sessions relating to low voltage power distribution and the production and application of Aerial Bundled Cables (ABC). The aim of these sessions were to support youth education and share practical knowledge and expertise amongst engineering students. In addition, ACL Cables provided a three-month industrial training stint for over 20 students during last year at the ACL Cables factory premises in Piliyandala. The objective of this was to help academics gain practical insights on cables and the process of cable manufacturing. SLIIT Students were also provided a comprehensive site visit to the ACL Cables factory in Piliyandala. The tour to the factory was an exclusive opportunity catering to only the engineering students and lecturing staff at SLIIT. ACL Cables is as a pioneer in the local cable industry manufacturing a wide range of cables used in the Sri Lankan market. The company has surpassed other competitors with a market share of over 70% as a group, producing many first to market cables. These include fire rated cables such as fireguard, fire zero and fire survivor, which ACL solely holds the expertise and knowledge in manufacturing, together with proven excellence, employing the highest standards and recipient of required test certifications.